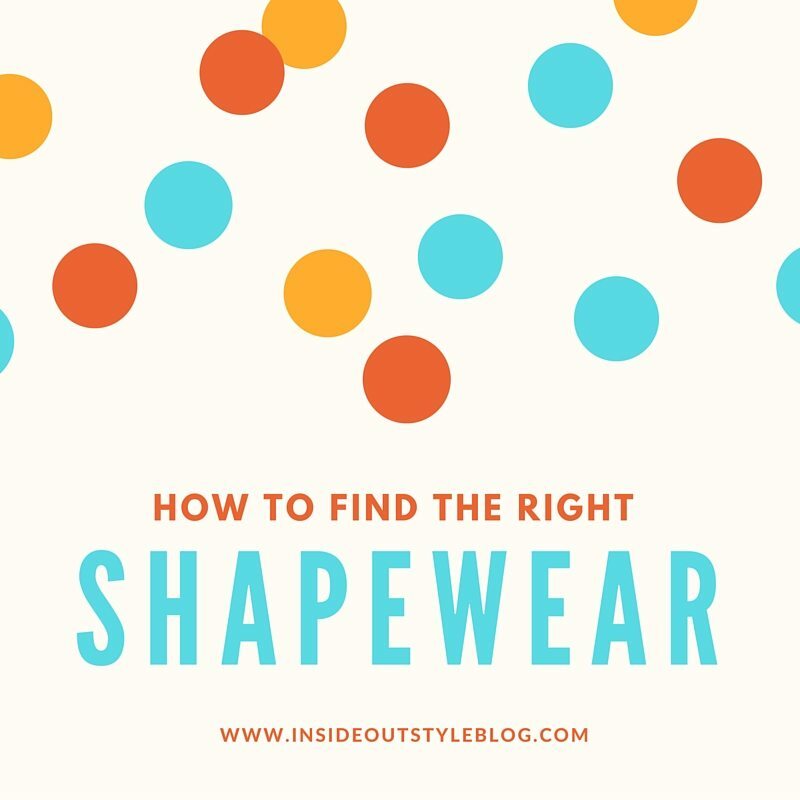 I was asked to help find shapewear for one of my lovely readers. She has problems as she’s a 38DDD (or a 38E in some places), finds that many garments roll down and create unsightly bulges, and also that her breasts sometimes escape underneath the underwire of her bra. 1. If your breasts come out from below your bra – the band is too loose – but you think it can’t be because your bra gives you rolls of back fat? 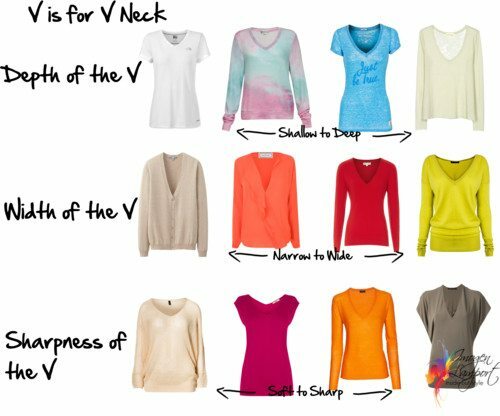 The band of your bra should sit horizontal around your rib cage – often when it’s too loose it rides higher up between your shoulder blades and still creates back rolls, and then lets your breasts escape. The underwires should sit firmly against your ribs, the underwire should not poke into your breast tissue near your arm, but should in fact sit behind where your breast finishes, under your arm. Get all my bra fitting tips here. 2. 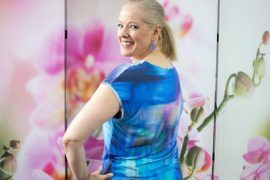 As our bodies are different lengths, each brand is cut longer or shorter – so if some shapewear is too long for your body or too short, it won’t sit right for you. The other day I was with a client finding a formal outfit for a big ‘do’ she was going to and I got her a selection of shapewear to try on – even though trying on these highly elasticised garments is exhausting, as she put it “like wrestling a pig” her words, not mine, the effort was worth it – we could compare what worked on her body best. 3. You could try for one that has an inbuilt bra – though I’ve never seen them over a DD cup (but if anyone knows of a brand that does – please leave a comment), but even though I’m a 12G/32G, I recently bought a Nancy Ganz 16D shaper with an inbuilt bra that fits my breasts, and still has enough shaping for me. 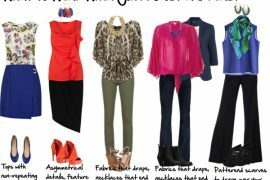 Spanx – some people love this brand – It’s good from my experience. Plus many lingerie manufacturers such as Berlei make shapewear too. If you do a Google search on shapewear you’ll find lots of local suppliers and sources. Try going to a big department store and trying on their range to find out which of theirs suits you best, then you could also try smaller more specialist lingerie shops. There is no one brand that is going to suit everyone as we’re all different shapes and sizes. Previous articleWhat’s Your Side View – Round or Elliptical? Can I just have HER shape??? Then I wouldn't NEED shapewear! Karen – you have a great shape! Rank – Sorry – not sure – I'd guess they come in small sizes somewhere as lots of celebrities wear the stuff – and they're usually on the xxs size! Have you checked out all the links? Thanks Imogen, I have a very long body (should have been a lizard…) I am going to investigate these. Spanx is for the shorter to average body I think. There's another brand that's popular in the US. I think it's called Liposuction in a Box or some such thing. Thank you, Imogen! I ordered the Hide and Sleek body slip suit from Spanx…$84. I'll let you know how it fits! I have seen a few people recommend the Unbelievabra, too (http://www.unbelievabra.com/). 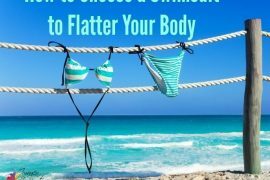 I've seen it worn (on blogs, anyway) by real people and it really does a great job of eliminating back fat. Another site that caters for the larger busted (D – G cups) is Bravissimo (http://www.bravissimo.com/products/lingerie/bodies-and-basques). Not a huge range but at least catering to the larger cup size. This may not be the most ladylike question, but, er, can you pee in those things? I can imagine the disaster of having to wrestle the thing off in a hotel or banquet hall toilet. Usually at events, there are drinks – even if not beer or wine, coffee or tea – all of those diuretics. One cup or class makes me want to go. Thanks for the bra hints – my problem is finding a supportive bra either without underwires, or with underwires that don't hurt. I find them very painful. Frumpy – never heard of that one – will look into it. Lagatta – some of them actually have little 'pee holes' so you don't have to wrestle them off! You just part it! Update: I LOVE my Hide & Seek slipsuit! I've been wearing it everywhere…it fits great, now my body looks smooth and slender, no bra needed! I've had good experiences with Spanx. There's a brand called Flexees that works for me too!